are also offered by Mary Amoson from Sharing Kindergarten. I offer more than 9 years of presenting experience loaded full of ideas, activities, and encouragement on ways to make learning fun. My sessions are not sales pitches… but just the opposite. Many of them come with digital make and take downloads. I am willing and able to add or adjust topics as needed. Just ask. 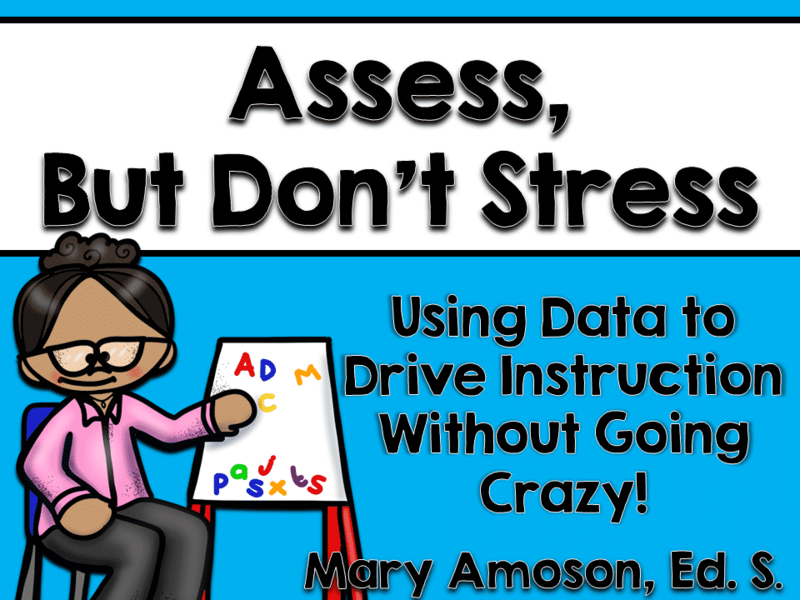 Assess But Don’t Stress- Does assessment and data collection drive you crazy? It won’t after you apply Mary’s tips and tricks for making it quick and fun. Explore how to organize your assessments without the stress while discovering engaging, interactive, and child-approved ideas for using data to drive your instruction. 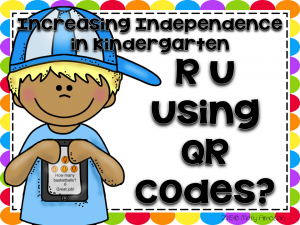 Breaking the QR Code- Thinking about using QR (Quick Response) codes in your classroom? 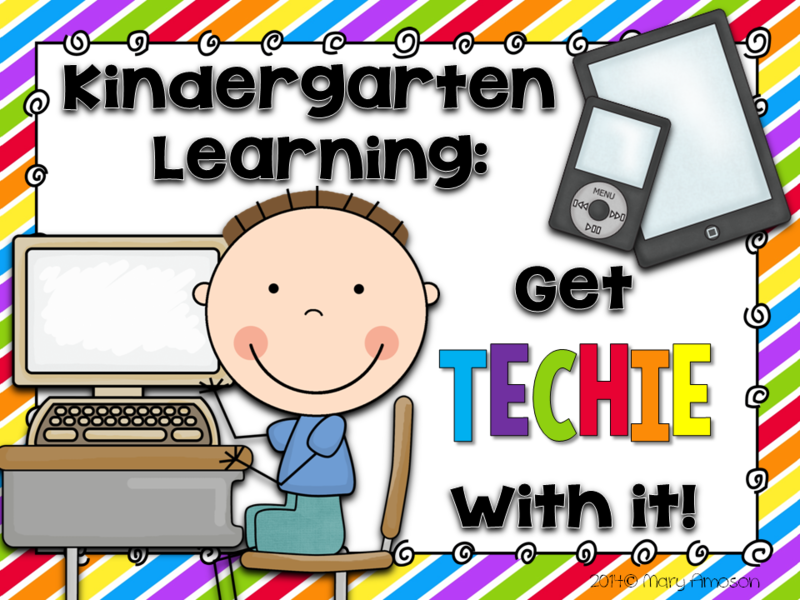 Need a little techie help to get started? Get it here! Mary explains what QR codes are, and how you can create and use them to encourage independence and make any game a lot more fun for your little learners. 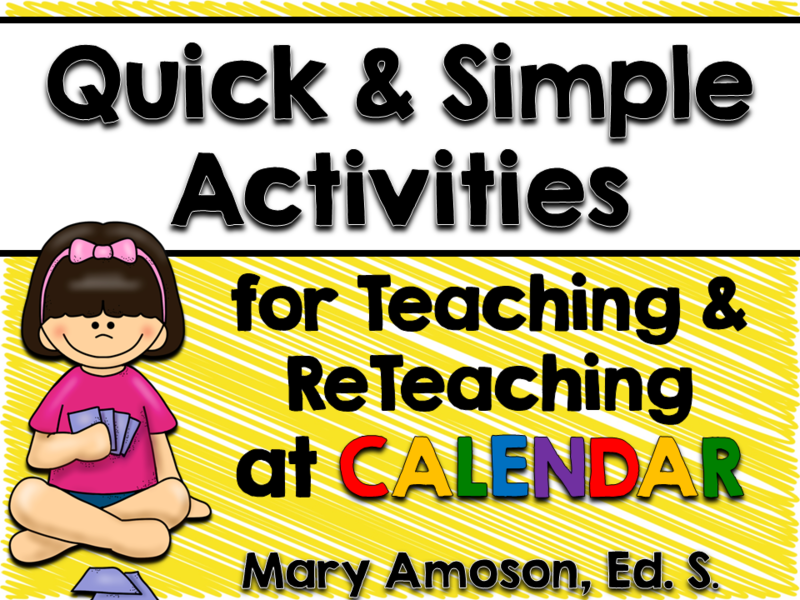 Calendar Time- Fill your teacher toolbox with inexpensive,new ideas for teaching and re-teaching the requirements across all content areas during your calendar time. 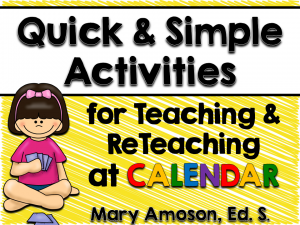 Discover Mary’s fresh activities and games in action videos from her classroom and find how easily you can incorporate higher order thinking skills, listening and speaking skills, and daily informal assessments as your kindergartners beg for more! 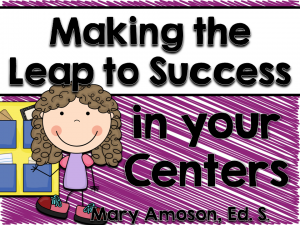 Centers– Set up and manage amazing learning centers that are student-friendly, teacher-tested, and guaranteed to delight your students. Get inspired by Mary’s TONS of pictures and walk-away ideas. 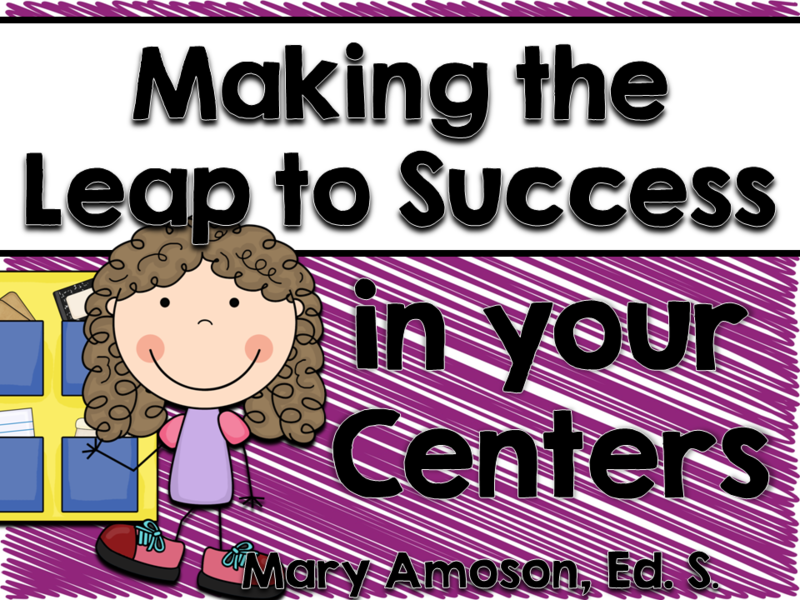 Understand how to differentiate your centers for all your learners and connect the learning to the Common Core. Plus, take home activities your students will dive into and have a ball with. 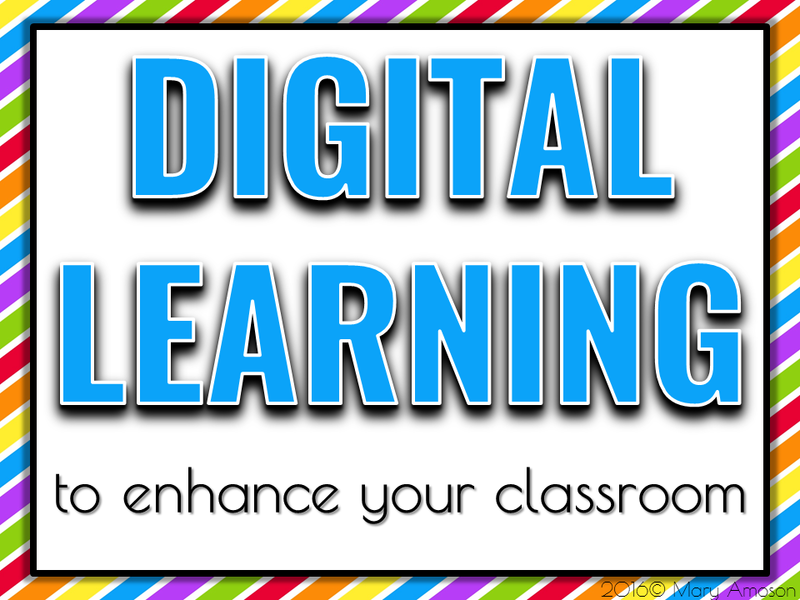 This session includes digital make and take freebies. 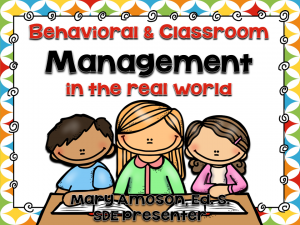 Classroom Managements– The same classroom management strategies don’t work for all students or all teachers. 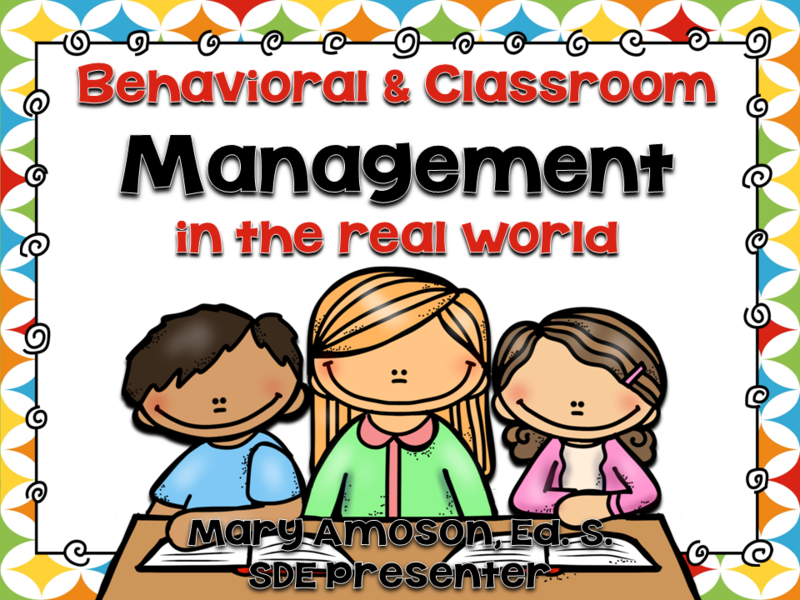 In this eye-opening session, identify tried and true teaching tricks for managing your class and creating a positive and fun learning environment. 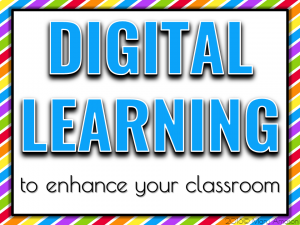 Digital Learning– Let’s dive into Google form, Quizlet, Quizzizz, Kahoot, and Nearpod to learn how to use these with little learners. 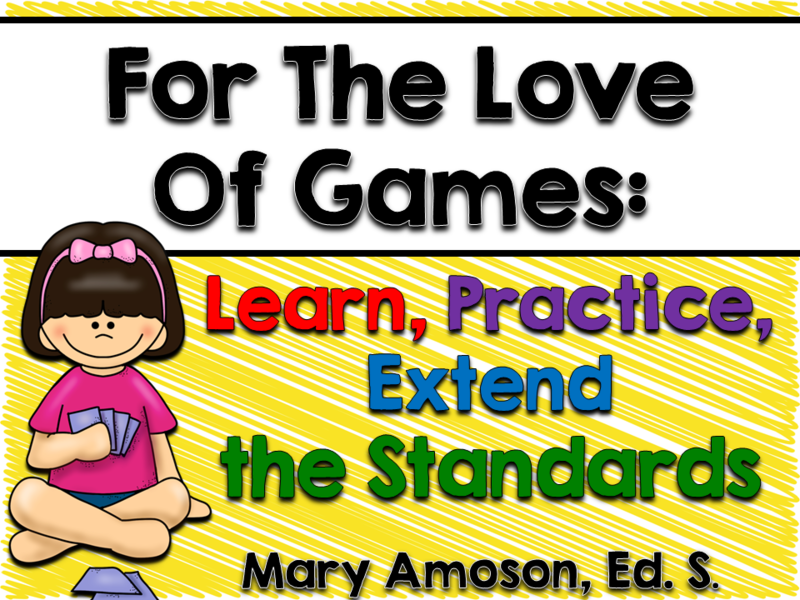 Games Galore!– Need some fresh, new ideas for games and activities kids LOVE to play and that teach the standards? Don’t miss this session! It’s loaded with kid- tested and approved games and quick assessment techniques. Learning, practicing, and extending the content in math and ELA will actually be FUN! 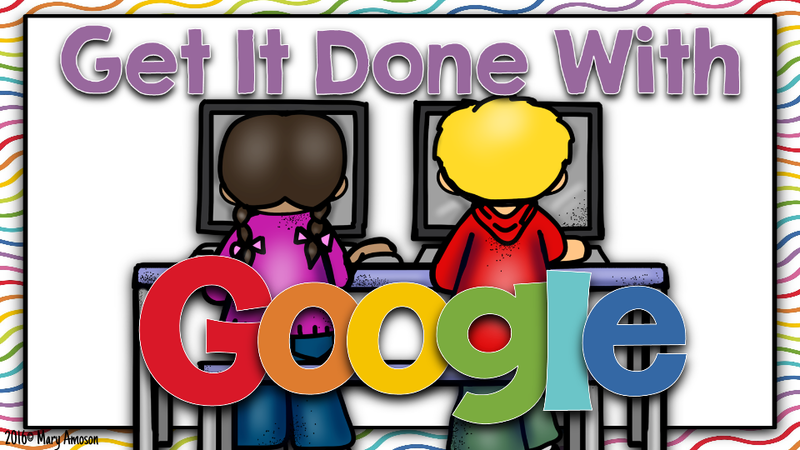 Get It Done with Google– Google is SO much more than a popular search engine. It’s also a terrific classroom tool for keeping your students engaged anytime, anywhere. 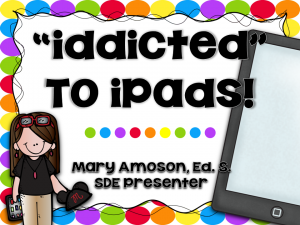 In this fascinating session, Mary shows you how to use Google Forms, Google Slides, Google Docs, and Google Photos to enrich collaboration, communication, productivity, and learning in your Google classroom. 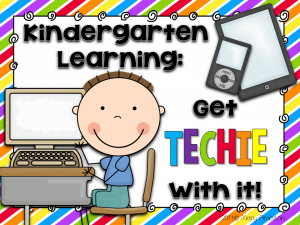 iPads– Everyone loves iPads in kindergarten— students ANDteachers! 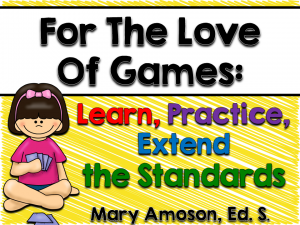 In this session, expand the ways you use and maximize this amazing technology. 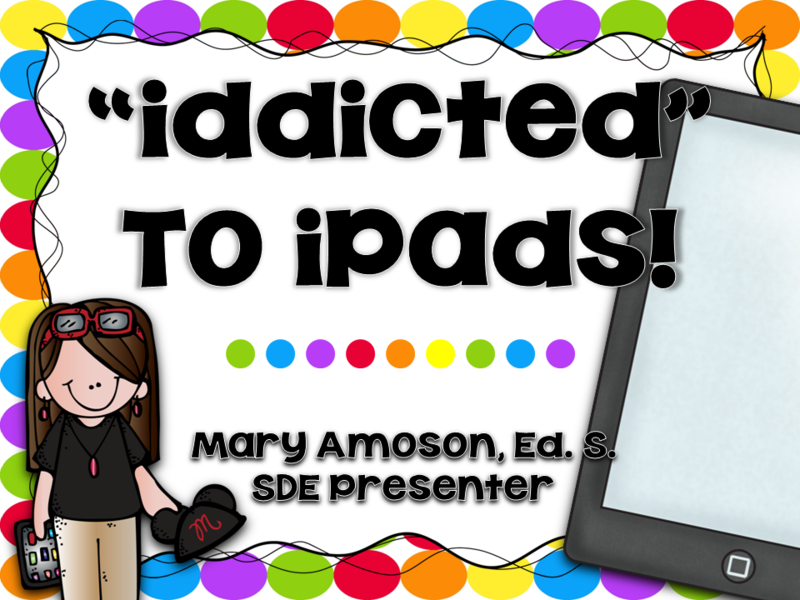 Collect classroom tested management tools, ideas that go beyond just apps, and student-approved educational games that will ensure your “iddiction” to iPads delivers long- lasting benefits. 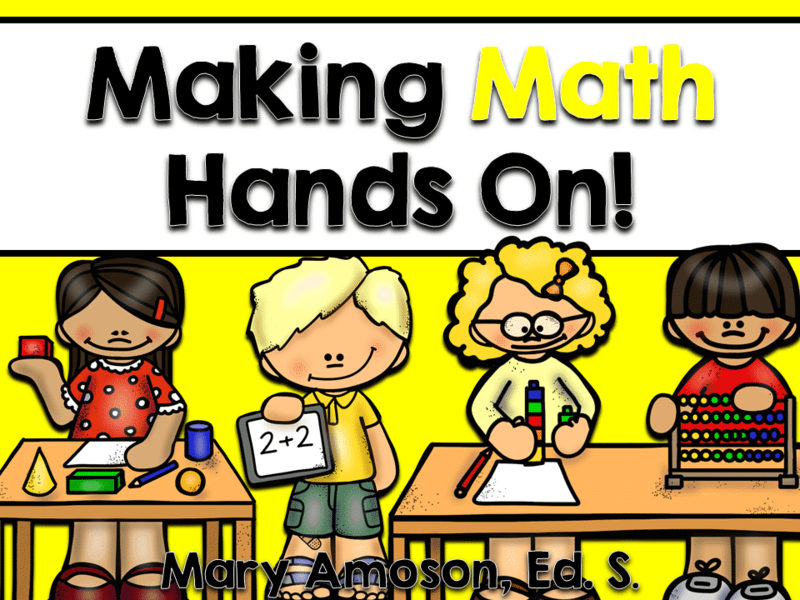 Making Math Hands On!– Start using the very best high-quality, hands-on skill games and activities in your whole-groups and small-groups and with partners to promote cross-curricular learning in fun ways. You won’t believe how many examples Mary shares. And, get leveled learning activities to help with remediation, skill-building, and accelerated learning. This session also has hands on games to try and fall in LOVE with! 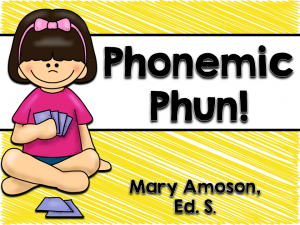 Phonics Phun– Take advantage of research-supported ideas for developing an awareness of sounds and words in our language. 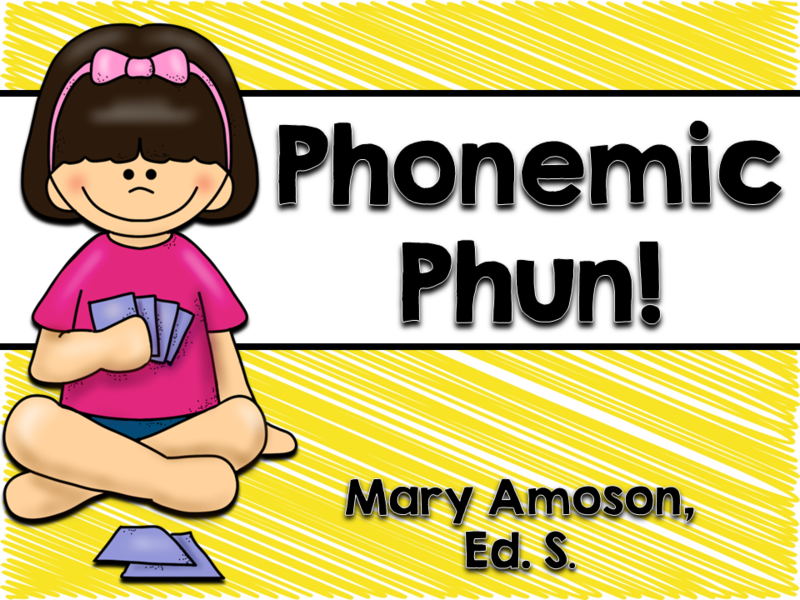 Join Mary to learn how to meet the phonemic needs of your individual learners through movement, sensory activities, exciting technology, and interactive FUN. Plus, gather kinder-approved games to support and extend your phonics lessons. This session also has hands on games to try and fall in LOVE with! 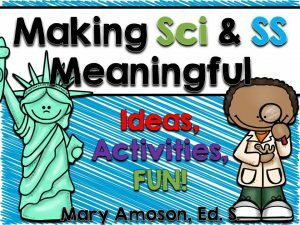 Science and Social Studies– Replenish your supply of fresh ideas and hands-on activities for making science content and social studies topics meaningful to little learners. 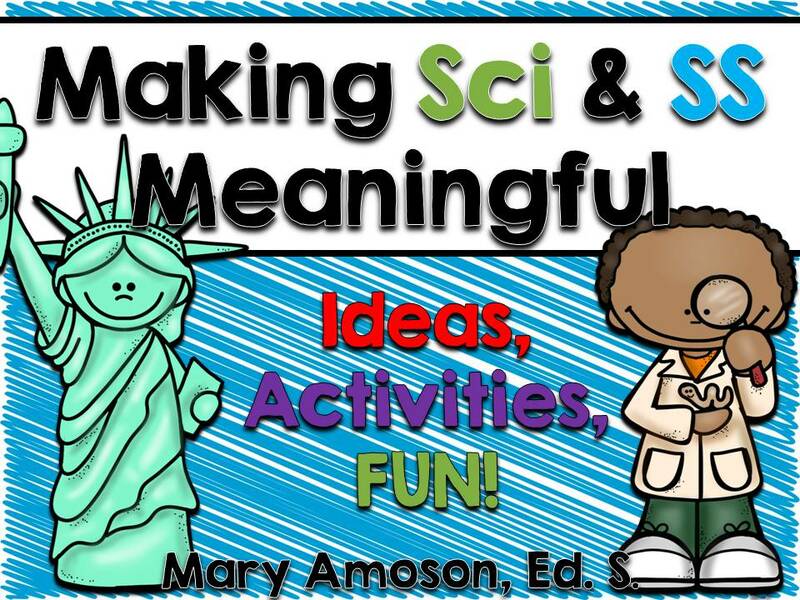 Attend this session to see how to integrate multiple content areas into science and social studies while making learning fun for your class. STEM activities, art projects, and games will help your students learn like never before! 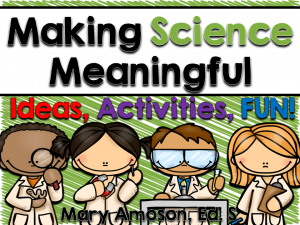 Science– Replenish your supply of fresh ideas and hands-on activities for making science content topics meaningful to little learners. 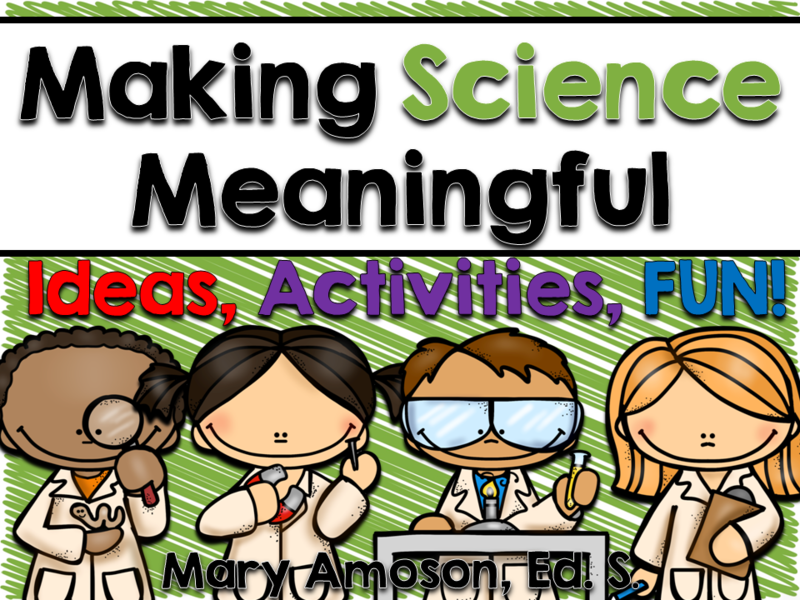 Attend this session to see how to integrate multiple content areas into science while making learning fun for your class. STEM activities, art projects, and games will help your students learn like never before! We are adding components to make this session more hands on and interactive. Sight Words– Replenish your supply of fresh, new ideas for sight word games and activities kids LOVE to play! Learning sight words has never been so much fun! 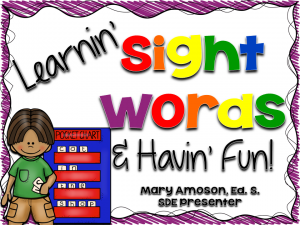 Mary sends you home with kid‑tested and teacher‑approved sight word games to try tomorrow. This session includes a digital make and take download. THIS SESSION IS A TEACHERS FAVORITE. Simple Tech Solutions– I asked 10,000 K teachers what STOPS them from using technology. I took that list and found solution to each issue. 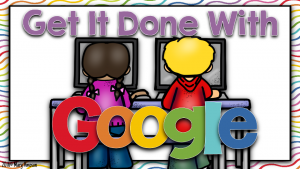 Be empowered to solve simple tech solutions to promote technology in your classroom. My rate information is available upon request. I keep my rates quite competitive and most of my clients are pleasantly surprised when I provide a quote. You can either contact me via email or use the form below to provide additional information regarding your opportunity. I always respond to presentation requests within 48 hours. If you have not heard from me, I am so sorry. Please try again by email as there way have been a technology error.